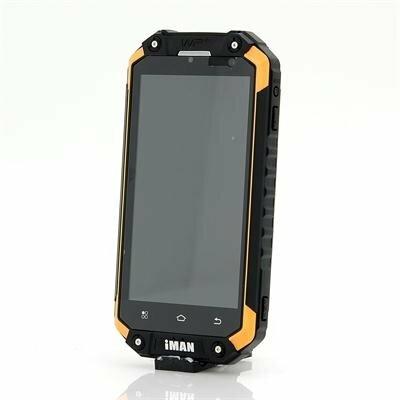 Successfully Added iMan i6 IP67 Rugged Phone - 4.7 Inch 720p Display, Android 4.4, Octa Core 1.7GHz CPU, 2GB RAM, 16GB Memory to your Shopping Cart. To compliment this performance you get a large 16GB of internal storage, this can easily be expanded with a micro SD card to offer you an extra 32 GB of space so storing games, videos or apps download from the Google play store shouldn't be an issue. 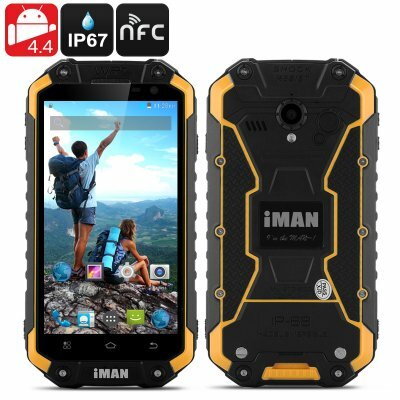 To meet the demands of an active outdoor lifestyle the iMAN i6 comes with a 3500mAh battery to ensure a long life between charges. To communicate everywhere the included antenna lets you use this phone as a walkie talkie and covers most common frequencys, whats more with NFC abilities you can easily transfeer files between devices or connect to compatible speakers. With dual SIM card support and a spectacular 13MP rear camera, the iMAN i6 offers you a quality phone that can keep on going no matter what you throw at it. This product is in stock now, we guarantee next working day shipping and offer a 12 months warranty on all our products. Brought to you by the leader in electronic devices and wholesale rugged smartphones, Chinavasion. whole cell but lacking media player. Do not read more used medias , only two , unfortunately.